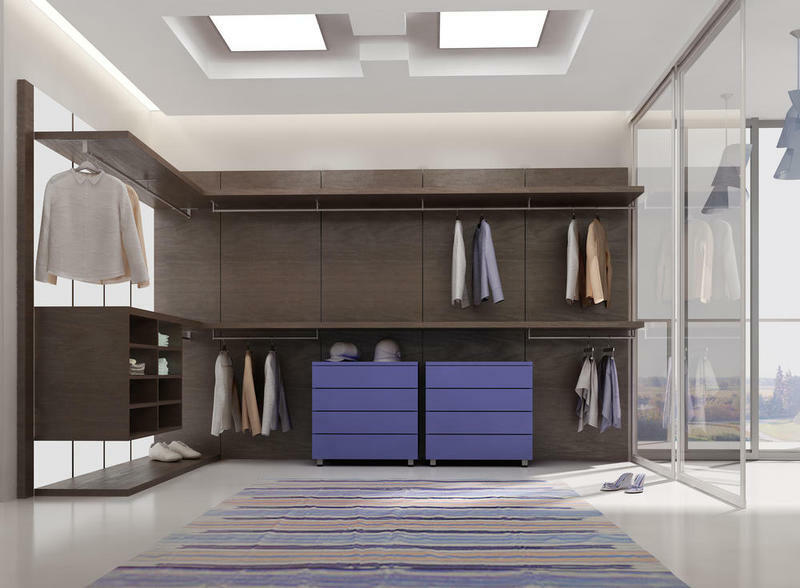 Some individuals in their own homes have a separate room for the dressing room, and they are very important to their design. Of course, the shape and division of the dressing room varies, depending on the room size and geometry. 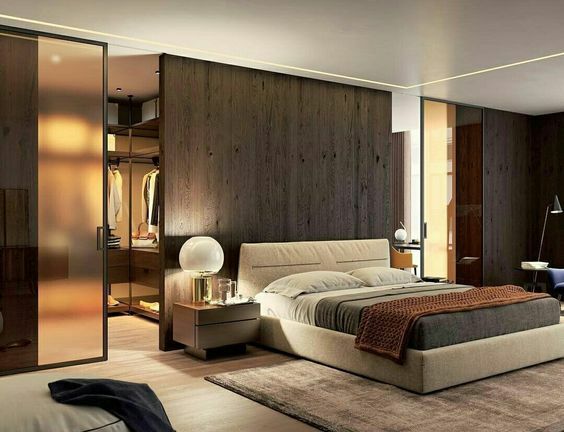 According to decorator Bedour Hamad bin Saidan, prefer to match the colors of the space of clothing and wood used in the bedroom furniture. If the space for the living room is spacious, it would like to be mediated by a folding table with a divided divider inside. It is desirable to provide the space mentioned window, so as to enter a multitude of natural light to it. 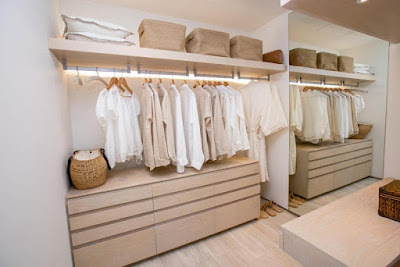 👗 If the space of the clothing is square (4 by 4 meters), it is preferable to set the cupboards on all the walls, the latter extending from the floor to the roof in the form of the Latin letter "U". 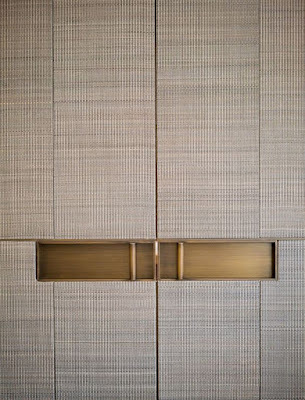 The cupboards may also extend above the door, which is in the center of one of the walls of the room. 👗 Trendy fashion calls for wardrobes to be corded off, to show the owner their contents. 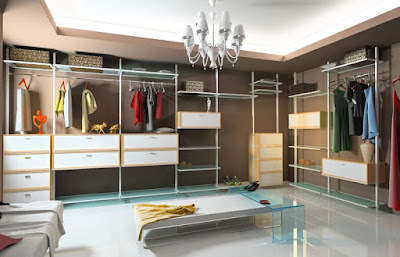 However, some prefer to close the cupboards with a piece made of glass, in order to avoid dust and dirt. 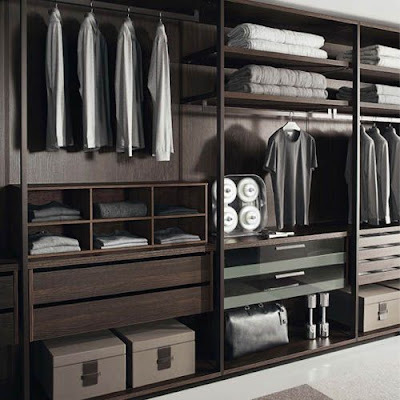 👗 If there is an area of ​​drawers inside the cupboards, it should not be closed but covered with transparent panels. 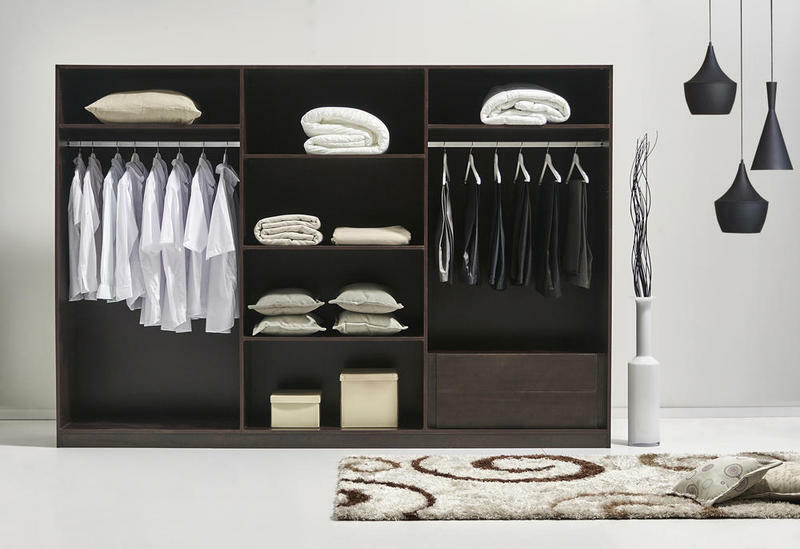 👗 It is recommended to replace baskets with traditional shelves, due to the ease of control of the first, and to see the objects inside easily. 👗 Mobile shoe racks are distributed at the bottom of the cupboards. 👗 A suspension unit should be attached to the bottom part of the cabinet, topped with a dedicated accessory accessory. 👗 The wheels can be stretched on the wall above the window and create a place to sit at the bottom. 👗 If the space of the clothing space is limited, it is preferable to pick the open bar in the cloud mode. 👗 The fashionable trend now calls for a choice of transparent glass panels, to show the owner the content, it gives the feeling of being open. Note that it is really closed. 👗 The bar can be made of glass, wood or glass and metal. 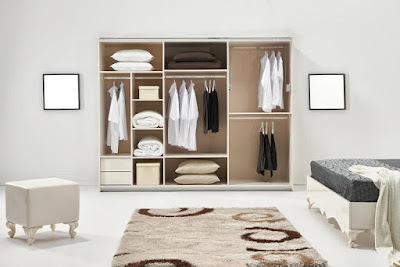 Instead of metal, two different colors can be introduced from wood as well as light and dark, provided that the same quality of wood is maintained. 👗 It is attractive to mix the wood with gloss and extinguish. For example, if the line is painted in white, the decoration can be applied to the matte finish. As the desire to achieve chromatic contrast, through the coating of the wheels in white gloss, with the highlight of the decoration shown by the gray to the beige Almtvip (Algarij). 👗 The razor or part of it can be worn with leather. 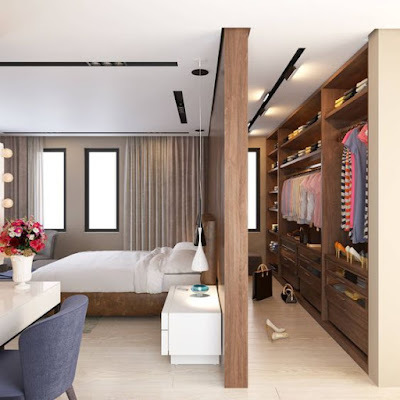 👗 In the narrow rooms, the mirrors are installed on all the sides of the store, to add more space. The most popular wood today is that which is painted, that is, with a hidden ark that is painted in a matte, glossy or semi-glossy color. For a lavish look, some prefer to show natural wood veins. 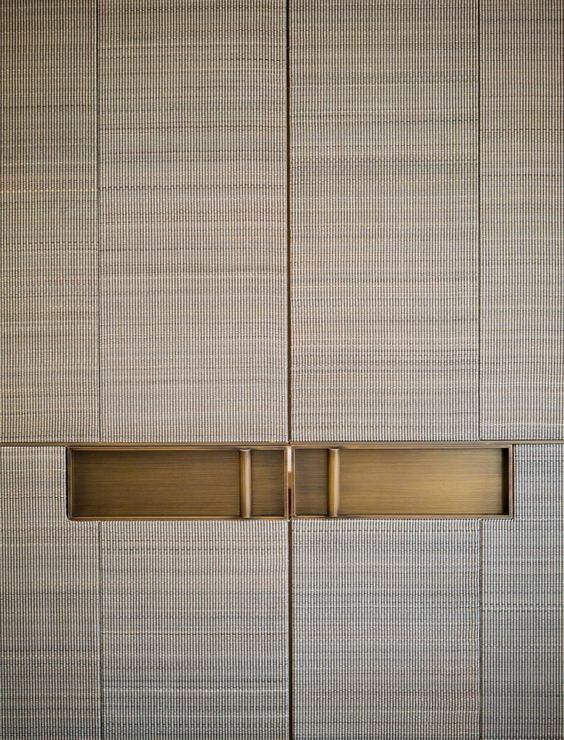 On the other hand, wood panels with a texture can be used as cloth or metal. If the bar of glass pulls a piece of cloth on it, it is the same color as the wood used. It is necessary to provide a central lighting space, a ceiling chandelier, or a concealed lighting in the plaster ceiling "decorations". 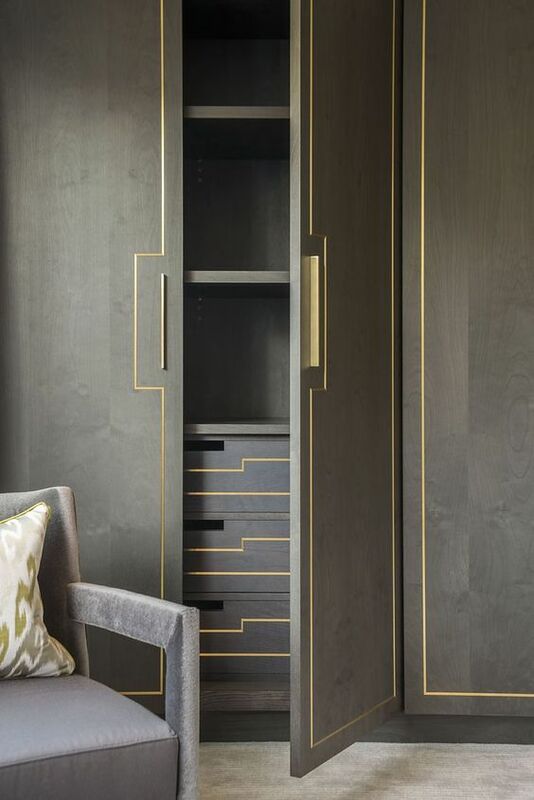 It is preferable to supply each shelf inside the cupboards with a light unit, to be lit just for opening. The floor space of the clothing should preferably be covered with parquet wood, with the floor having the same color as the wheels or a different color. Also, it is appropriate to cover them in whole or in part with carpets. But, the marble does not fit the space, due to its coolness. Generally, it is necessary to trace the floor door of the room, to the color aspect.